Anxiety is one of the most common mental illnesses here in the US. It affects roughly 40 million people across the states and for the most part, goes untreated. There are several different kinds of anxiety disorders and each is something that could affect both children and adults. This kind of thing in itself can really set us back. In modern times some pretty unique means of helping those with anxiety have come about and one of those is the weighted blanket. Weighted blankets are currently becoming so popular that you can even find them in the ‘as seen on TV’ section in most Walmarts. That being said, they do come with a somewhat hefty price as they are around 150 bucks. Weighted blankets are a fairly simple concept and work to ground the person who is suffering from anxiety. When used properly, they can really benefit those who are struggling. They weigh anywhere from about 5-30 pounds usually and are also used in sensory integration therapy. There have been several studies done on weighted blankets in general and one that was published in 2008 noted that those who used an under 30lb weighted blanket for five minutes reaped great benefits. About 19 of their 33 participants mentioned feeling much more relaxed and at ease with the weighted blanket while only three noted feeling a bit uneasy when using it. Other studies have shown that they are able to decrease the amount of stress psychiatric patients are under which is always a great thing. 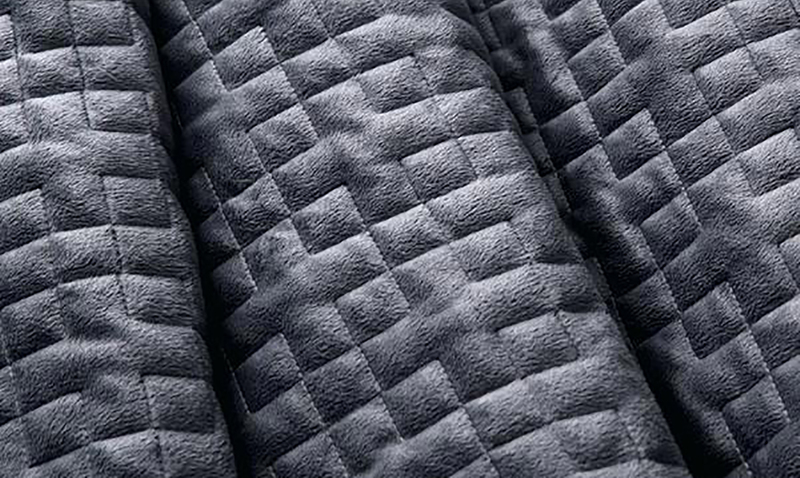 The science behind weighted blankets is referred to as deep touch pressure and it is basically a gentle and distributed pressure on the body that increases a person’s sense of calmness. Weighted blankets reduce the activity within our nervous system which relieves anxiety in the long-run. This is the same concept as using something like a weighted vest or weighted lap pads in general. Now, when it comes to getting a weighted blanket for yourself you could make your own or buy one of the commercially produced ones as these days they are not hard to find. There are tons of different brands and varieties available and everyone can find something that works for them. To learn more about weighted blankets please feel free to check out the video below. If you’re someone who struggles with anxiety, it might be well worth looking into.